Today is guest post from my sister Laura from Our Oily House. She is a wealth of knowledge on all things natural and essential oils. Stay tuned, because the two of us are planning some classes to share how we use essential oils in our homes. Today she is sharing all about deodorant. 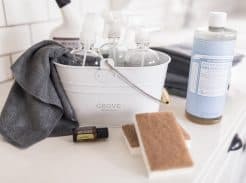 Why the conventional stuff is a no-go, all natural brands you can use instead, and best of all, how to make deodorant with essential oils. New to essential oils, and want to learn more? You can get my free essential oils class HERE. We are exposed to chemicals and toxins several times throughout the day. Products like soap, lotion, make-up, and deodorant are loaded with toxic ingredients, some of them known to be carcinogens. Chemicals like parabens and aluminum compounds mimic estrogen and can promote cancer cells to grow. 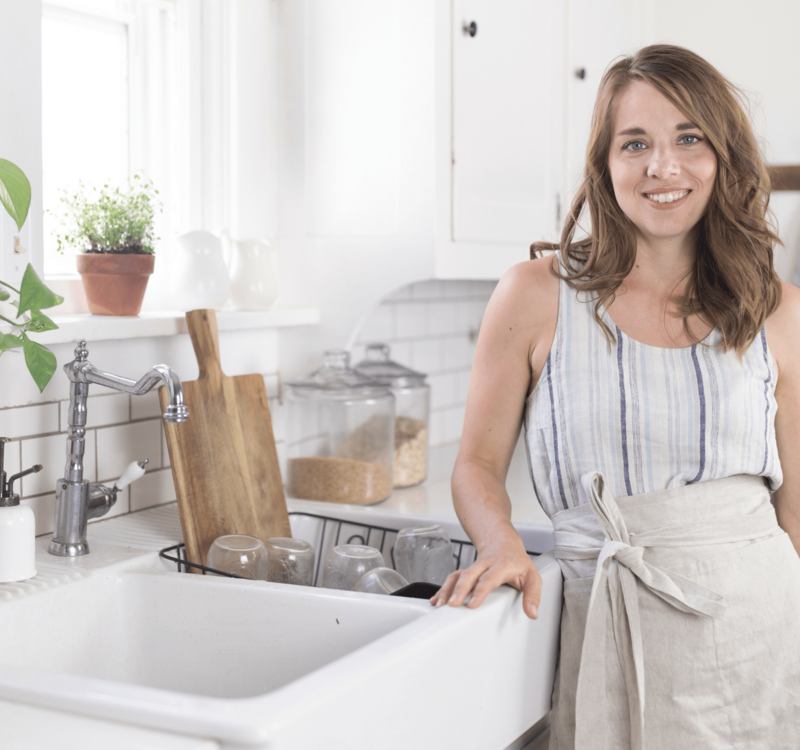 When I read this several years ago I felt overwhelmed and didn’t know where to start in getting toxins out of my home. My tip to you is to start with one product at a time and eventually you will make the switch! Once you get going you will realize that many products call for the same ingredients and you will start having everything you need to whip up things like, deodorant, sunscreen, or chapstick on hand! Making your own is simple and cheaper. The first product I started making was deodorant! WHAT’S WRONG WITH CONVENTIONAL DEODORANT? In a container of deodorant you will find aluminum compounds, parabens, steareths, triclosan, propylene glycol, trethanolamine (TEA), diethranolamine (DEA), fragrances, dye, and artificial colors. What the heck are those things? I hate when I can’t pronounce the ingredients on something I am eating or using! Aluminum actually clogs the pores and temporarily stops you from sweating. Sounds good, right? Isn’t that what we want? NO! Sweating is one of the ways your body detoxifies itself and is a natural healthy process. Plus aluminum can interfere with estrogen levels causing a hormone imbalance. Parabans are a group of compounds used as a preservative in most cosmetic and personal products.They too mimic estrogen and cause hormone imbalances.Parabans are found in 99% of breast cancer tumors! Steareths is a waxy compound found in many of our personal products. This chemical is linked to cancer, hormonal imbalance, and other skin and organ abnormalities. Triclosan is an antibacterial agent and preservative in personal care and home-cleaning products. It is a hormone disruptor; and can irritate the skin, lungs, and eyes. Propylene glycol is an organic alcohol commonly used as a skin conditioning agent it is known to cause allergic contact dermatitis and itchiness. TEA and DEA can cause damage to the kidney and liver.These chemicals have been banned in other countries because of the harm they can cause on the body and the link to cancer. Artificial colors, dyes, and fragrances can cause allergic reactions, contain hormone disturbers, carcinogens, and linked to damage sperm. Some dyes like, red40, are banned in other countries. CAN I BUY NATURAL DEODORANT? 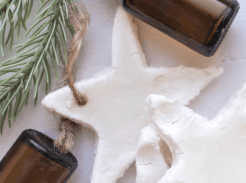 HOW DO I MAKE HOMEMADE DEODORANT? 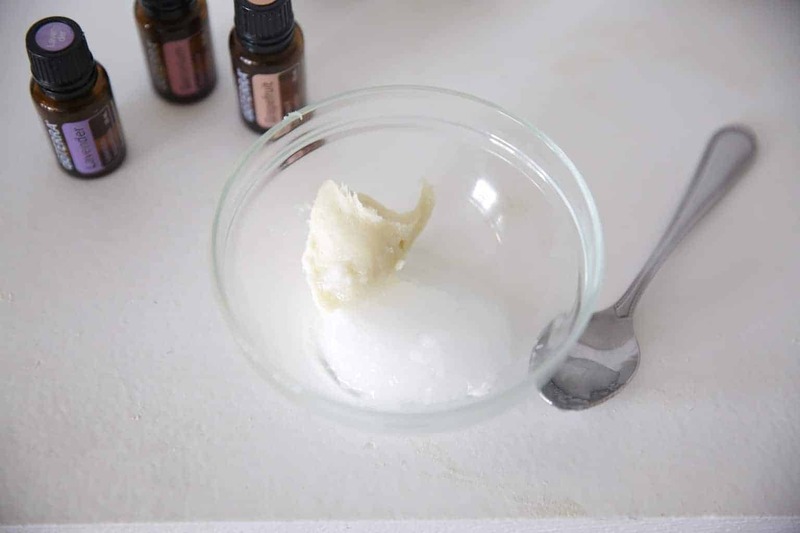 I am excited to share this recipe with you!I have been making my own deodorant for 5 years now and love this recipe because it works, it is simple, and it is cheap.WIN WIN WIN! Melt shea butter and coconut oil in a double boiler. I make my own by placing a glass bowl over a pot of water. Remove from heat and add in baking soda and arrowroot powder. Add essential oils of choice. I’ll list my favorite combos below! Store in a glass mason jar with an air tight lid or pour into empty deodorant container. NOTE: If you are storing yours in a deodorant container you may want to keep it in the refrigerator because the coconut oil will melt below 76 degrees. If you are planning on traveling with it you can store it in a mason jar with an airtight lid. 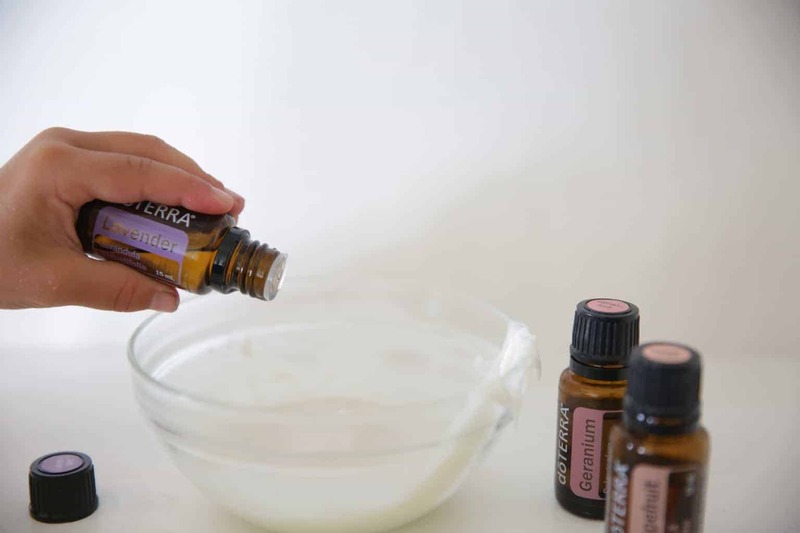 If you have ever made your own deodorant with essential oils please share your favorite blends with me! I love trying new ones! I am currently using lavender, grapefruit, and geranium and loving it! 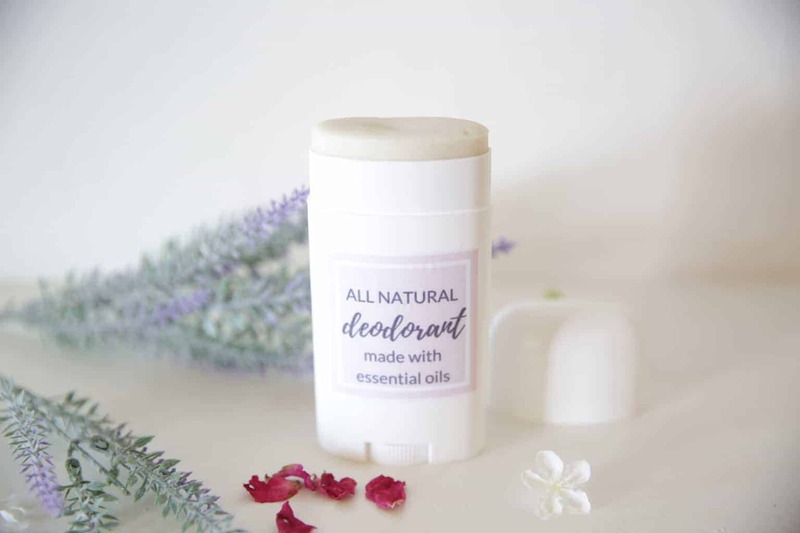 Get access to my online resource library here for your FREE printable deodorant label HERE. Thank you so much for stopping by our oily house! Add essential oils of choice. I'll list my favorite combos below! If you are storing yours in a deodorant container you may want to keep it in the refrigerator because the coconut oil will melt below 76 degrees. If you are planning on traveling with it you can store it in a mason jar with an airtight lid. 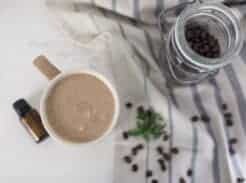 I have made my own deodorant in the past and loved it. 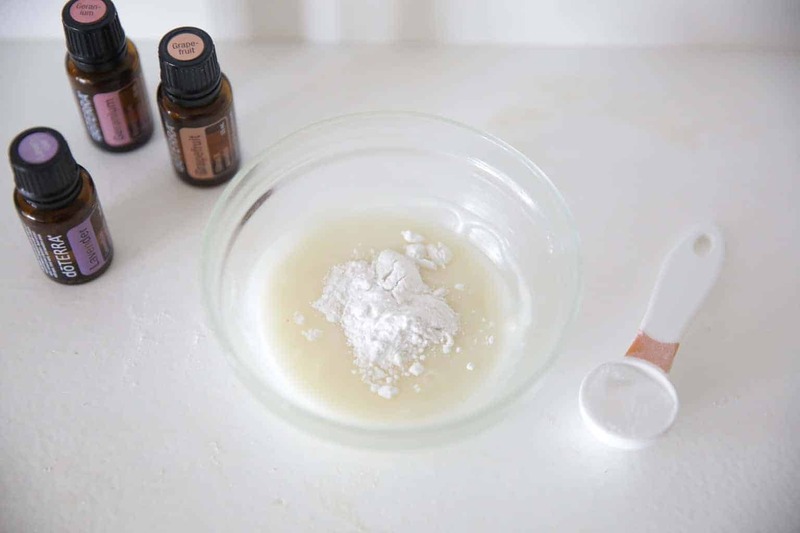 After I ran out of my homemade stuff, I purchased Schmitt’s bergamot and lime deodorant simply because I needed it ASAP and didn’t have time to make any. . It smells amazing but I hated the way it applied and clumped up. Happy to have your bergamot and lime ratio. I’m making this today!!! Hey Mary! Just added it. Thanks for bringing that to my attention! Will this be smooth like conventional deodorant? I tried the schmidts brand and it was too abrasive and hard! Thank you! 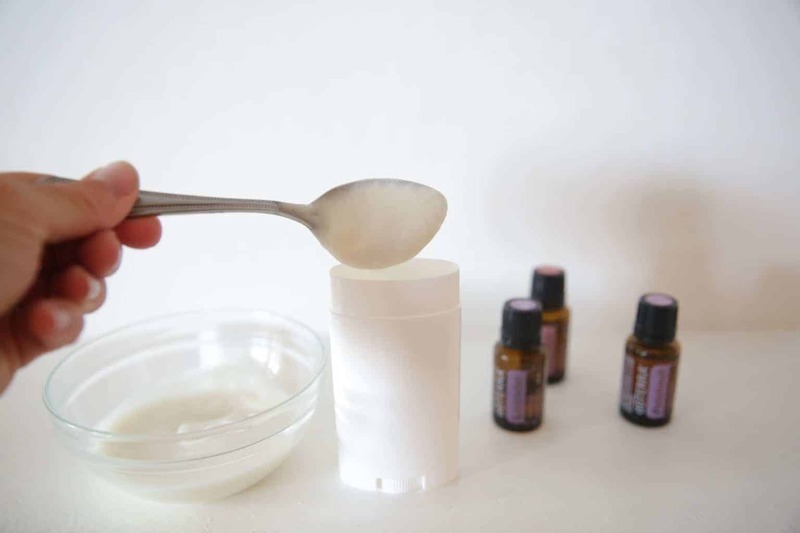 I know, I love making the homemade deodorant!